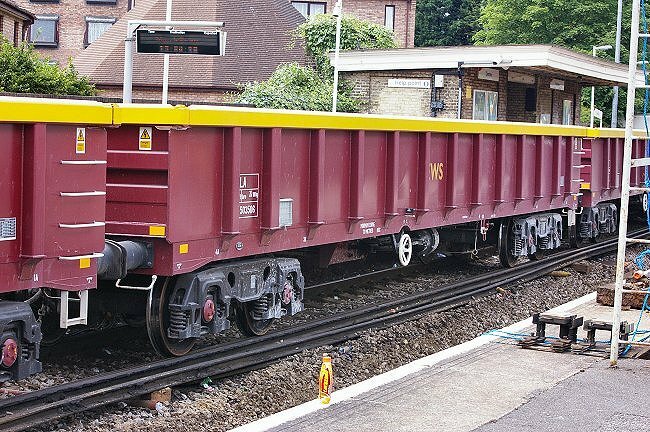 EWS locomotive 66089 stands just outside Chertsey station with train 6N05, which has brought fresh ballast from Eastleigh in TOPS code JNA wagons, a type known as "Falcon". Beyond is train 6N06, the arrival of which was photographed from the footbridge in the distance and the images are in Part 1. 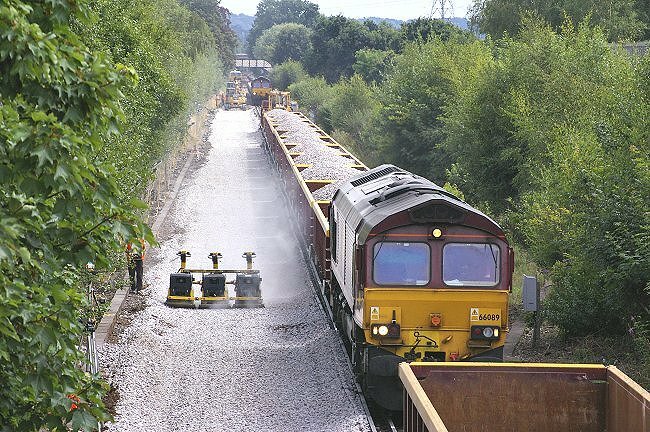 Of interest are the three vibrating tampers which are levelling the ballast beside the loco. They have been joined together to form a single unit which is being remotely controlled by the man nearby (partly obscured by the leaves). This operation is causing a cloud of dust to rise. 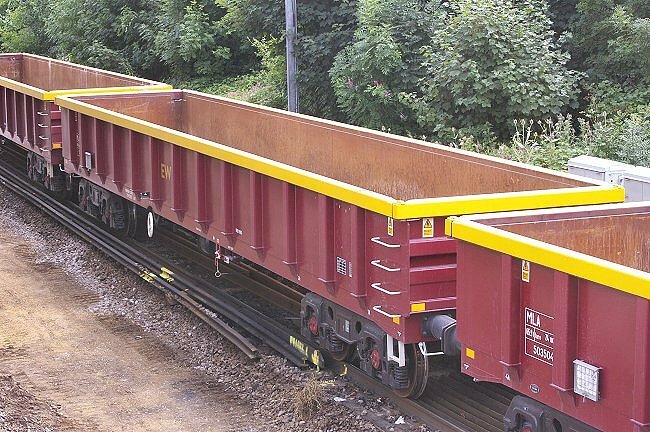 EWS wagon 503527 of TOPS type MLA has been emptied of new ballast and is waiting to be moved out of the work area and returned to Eastleigh. Another empty EWS type MLA wagon awaits removal. This example is number 503502. 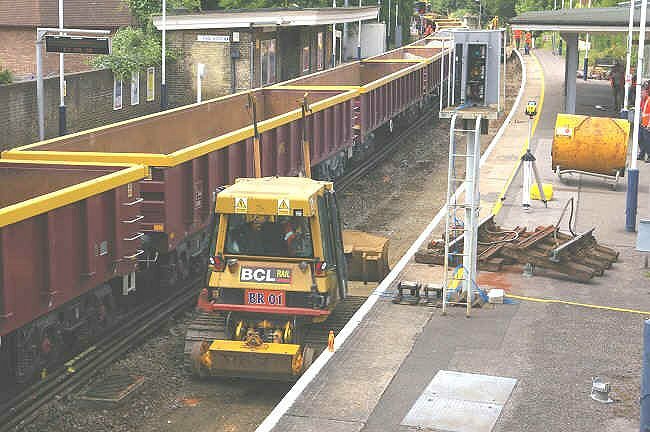 A bulldozer waits between the platforms at Chertsey station to level the ballast being unloaded further on. 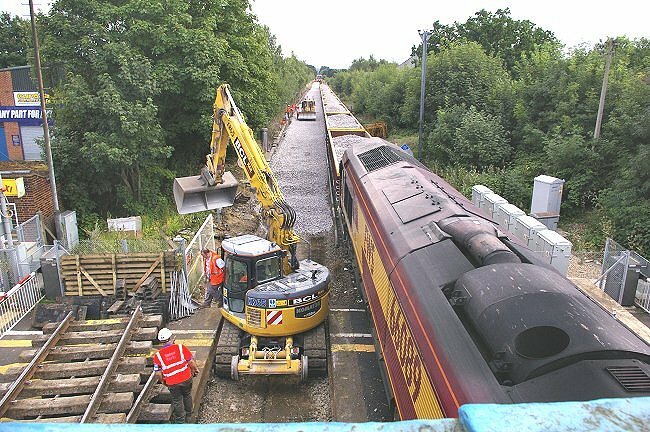 Three engineers trains are lined up nose to tail in this view of Chertsey station taken from Bell Bridge Road. 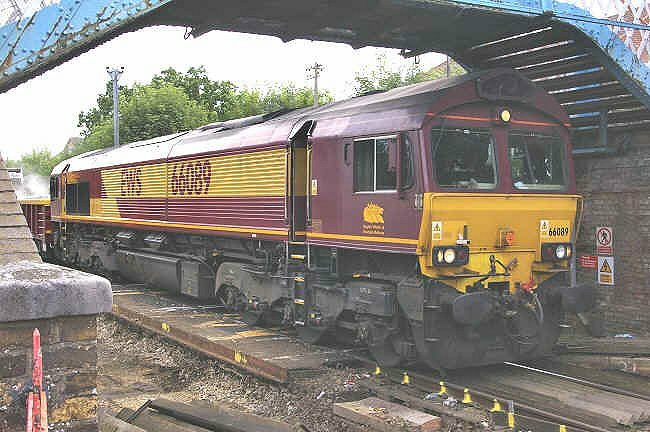 EWS class 66 locomotive number 66089 was built by General Motors in Canada. The locomotive is standing on the Guildford Street level crossing, which is almost unrecognisable in this view. 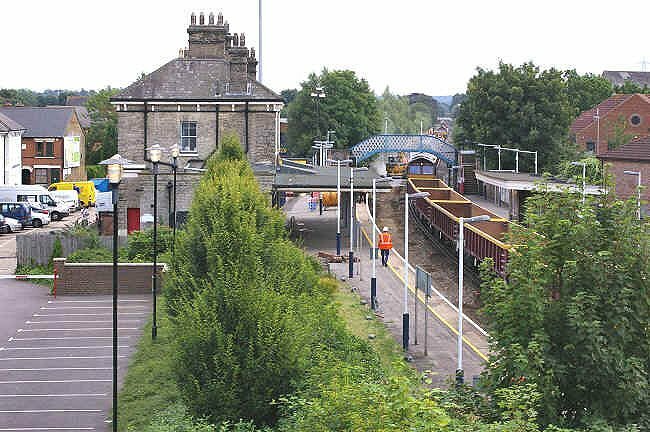 Another view of the Guildford Street level crossing, this time taken from the Chertsey station footbridge.